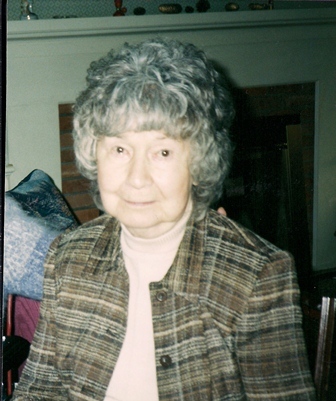 Bernice H. Love, 96, a resident of Calvary Homes, died Sunday, September 4, 2011 at the home. She was the wife of the late William B. Love. Born in Loudonville, OH she was the daughter of the late Glenn G. and Minnie Pearl Witt Humphrey. Bernice graduated from the Loudonville High School and was a bookkeeper most of her life. She spent most of her spare time with her family. Surviving is a daughter Julie Raleigh of Reynoldsburg, OH; a sister-in-law Ann Humphrey of Ashland, OH; two nieces, Stephanie Humphrey of Ashland, OH and Dr. Kathleen B. Humphrey of Albuquerque, NM; five grandchildren, Tahnya wife of Bruce Lambie of Lancaster, Randy Raleigh of Columbus, OH, Tahsha wife of George Harmon of Dublin, OH, Mark husband of Heather Raleigh of Gahanna, OH and Tierah wife of Robert O’Brien of Reynoldsville, OH; 10 great grandchildren and four great great grandchildren. She was preceded in death by three brothers Lawrence G. Humphrey, Dr. Stanley P. Humphrey and Wayne E. Humphrey. Services and interment in Ashland, OH will be private and held at the convenience of the family. In lieu of flowers, contributions in Mrs. Love’s memory may be made to Hospice of Lancaster County, 685 Good Drive, P.O. Box 4125, Lancaster, PA 17604-4125.